Find Out The Top Benefits Of Cinnamon HERE. A little bit of cinnamon goes a long way, and its antioxidant abilities are what makes it especially beneficial to include in your diet. As little as 1/2 of one teaspoon of cinnamon daily can have positive effects on blood sugar levels, digestion, immunity, and more. However stronger doses are also extremely beneficial for improving heart disease risk and cutting risk your for diabetes, cancer, and neuro-degenerative diseases. Cinnamon is packed with a variety of protective antioxidants that reduce free radical damage and slow the aging process; in fact researchers have identified forty-one different protective compounds of cinnamon to date! According to the OTAC scale, which is used to measure the concentration of antioxidants in different foods, cinnamon ranks #7 of all foods, spices, and herbs across the world. And in a study that compared the antioxidant activity of 26 spices, cinnamon was deemed the winner and proved to be higher in antioxidants than other powerful herbs and spices including garlic, thyme, rosemary, and oregano. The health benefits of cinnamon are attributed to the type of antioxidants called polyphenols, phenolic acid, and flavonoids. These are similar antioxidants to those that can be found in other “superfoods” including berries, red wine, and dark chocolate. These compounds work to fight oxidative stress in the body, which can lead to disease formation when uncontrolled, especially as someone ages. The different antioxidants present in cinnamon help to reduce a multitude of symptoms and diseases because they are free-radical-scavengers. The health benefits of cinnamon include its ability to reduce many forms of oxidative stress, including the ability to limit nitric oxide build up in the blood and lipid (fat) peroxidation, which can both add to instances of brain disorders, cancer, heart disease, and other conditions. Diabetes is formed when insulin resistance occurs and poor glycemic control takes places, or someone develops the inability to manage how much sugar (glucose) enters the blood stream. The same problem with insulin resistance is also associated with other conditions like metabolic syndrome and weight gain, too. One way that cinnamon protects cognitive function and brain health is because it activates neuro-protective proteins that protect brain cells from mutation and undergoing damage. This further reduces the negative effects of oxidative stress by stopping cells from morphing and self-destructing. Because cinnamon contains so many antioxidants and anti-inflammatory compounds that reduce the effects of ageing on the body and brain, in the future we may see it being used as a possible natural therapeutic treatment or prevention for age-related neuro-degenerative diseases. In studies, the extracts found in cinnamon were shown to be protective against bacteria living in the oral microflora that could cause bad breath, tooth decay, cavities, or mouth infections. The essential oil from cinnamon has been shown to be more potent than other tested plant extracts and can be used to naturally combat bacteria in the mouth, acting like a natural anti-bacterial mouthwash. Similarly to peppermint, one of the health benefits of cinnamon is that it can also used as a natural flavouring agent in chewing gums due to its mouth refreshing abilities. Because it removes oral bacteria, cinnamon has the ability to naturally remove bad breath without adding any chemicals to the body. For this reason cinnamon has also been traditionally used as tooth powder and to treat toothaches, dental problems, oral microbiota, and mouth sores. Cinnamon essential oil is also used in some beauty products, shampoos, and perfumes for its many health benefits that can help with fighting infection while adding a pleasant smell. According to researchers, when patients were given cinnamon extract or cinnamon essential oil, they showed improvements in candida yeast levels and a reduction in symptoms. Cinnamon helps to fight candida naturally by boosting immune health and fighting inflammation, auto immune-reactions, and yeast within the gut. Cinnamon has anti-biotic and anti-microbial effects that protect skin from irritations, rashes, allergic reactions, and infections. Applying cinnamon essential oil directly to the skin can be helpful in reducing inflammation, swelling, pain, and redness. Cinnamon and honey, another antimicrobial ingredient, are frequently used together to boost skin health for this reason and are beneficial for acne, rosacea, and signs of skin allergies. To date, approximately 250 species of cinnamon have been identified because the cinnamon tree is grown all over the world, with different species being found on different continents. Ceylon and cassia cinnamons actually come from two different, but related, trees. Ceylon cinnamon (called true cinnamon) comes from trees grown in areas like Sri Lanka and Thailand that are rarer, therefore ceylon cinnamon is more expensive and hard to find in stores. Cassia cinnamon (also called Chinese or Saigon cinnamon) comes from trees grown in China normally, is less expensive, and is more widely available. To date, cassia cinnamon has been studied more than ceylon cinnamon has, but researchers think that ceylon cinnamon actually has potential for having more health benefits than cassia cinnamon. Ceylon cinnamon also contains less of a compound called coumarins than cassia cinnamon does. Coumarins are believed to be potentially damaging to the liver when you consume a lot of them. therefore researchers think that ceylon cinnamon is the better option for producing cinnamon extracts that feature high doses of cinnamon. The two types of cinnamon are do have similar health benefits overall, since their plant species is very closely related, but we expect to see more evidence in the future pointing to the fact that ceylon is the better option. 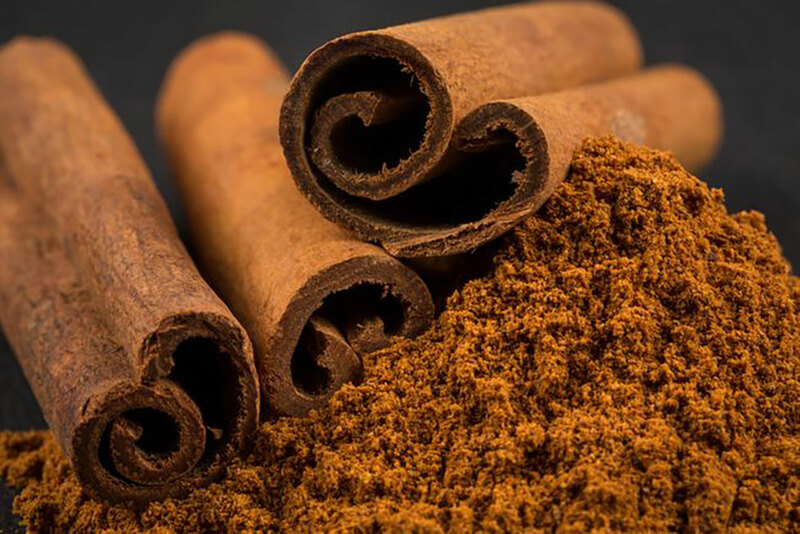 If you cannot find ceylon cinnamon, cassia cinnamon is still beneficial, and as long as you don’t consume large amounts of cinnamon (more than 1-2 teaspoons a day for example) the coumarin compounds don’t pose much of a threat according to studies. Look for organic ceylon cinnamon powder and cinnamon essential oil in health food stores or ethnic markets to get the most benefits from cinnamon. You can check the label to determine which type for cinnamon you’re buying, and if the label doesn’t indicate which type it is, keep in mind it’s most likely cassia which is less expensive and more popular. Try using cinnamon within one year before replenishing your supply and buying a fresh bottle. You can also purchase cinnamon sticks and grate fresh cinnamon yourself using a small hand-held grater. Additionally, whole cinnamon sticks can be used to infuse liquids like mulled wine to give them a distinct flavor and to add nutrients.To determine which type of cinnamon stick you’re purchasing, look at the texture; ceylon cinnamon has a thinner, more brittle bark than cassia cinnamon does.